Reading history books is not for sissies; nor for people who demand instant gratification. In fact one must expect to endure a great deal of drudgery before finally getting onto a winning streak. I have done just that, recently. 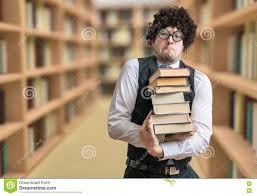 How refreshing it is to escape the cloistered writing of scholarly bookworms who have spent their entire lives with their noses buried in other people's books. Contrast that with the chapter on Jacob Burckhardt in Michael Dirda's "Classics for Pleasure:"
In those days, many scholars refused to confine their efforts to some narrow field of specialization; in fact, they ranged across subjects with the swagger of adventurers, soldiers of fortune, condottieri. For Burckhardt, the Renaissance in Italy is essentially an age of energy and charisma, when a man was "forced to be either hammer or anvil." Contrast that with overly verbose historians, who drown you in microscopic details that never add up to anything. So many of this type have no personal history with anything more exciting than a desk, living room, or library. I don't disagree with what you said, but wouldn't you prefer an author's emphasis on DISTINGUISHING important from unimportant details, rather than indiscriminately piling up more and more details?